Claudius' speech to court and his speech to Hamlet (Act 1 Scene 2). 2. 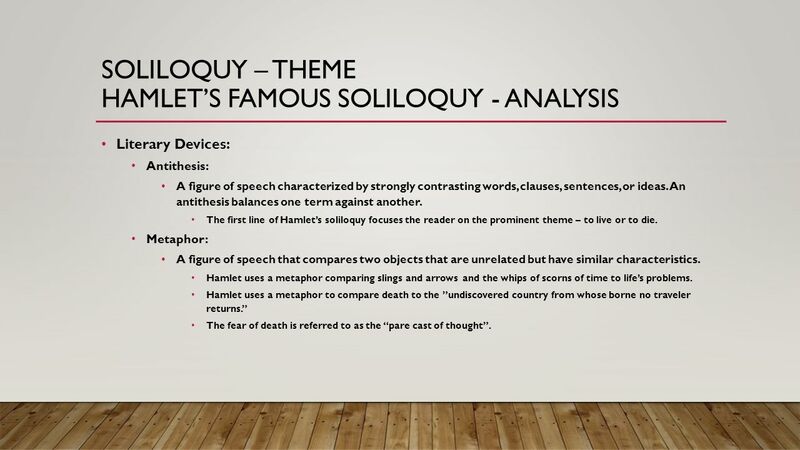 Hamlet's first soliloquy (Act 1 Scene 2). 3. Polonius can barely speak without revelling in antithesis, a clue to us that he sees the world in black and white, rather than in complex, human terms. Examine his scene with the King and Queen (Act 2 Scene 2).